Introduction: Where did Zerek come from? This company comes from Asia and is a relative newcomer to the U.S. market offering a selection of hardbaits at aggressive prices. All of the baits share similar characteristics and look like they are cut from the same cloth. 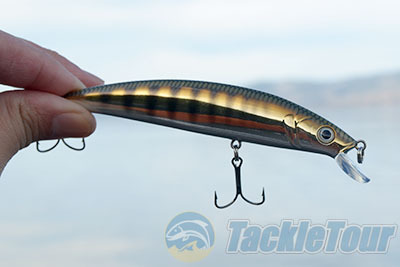 Our first foray into this brand�s offerings is the Sabre Dance jerkbait which is available for under five dollars. Impressions: The Zerek family of baits features both clean streamlined designs and metallic finishes. 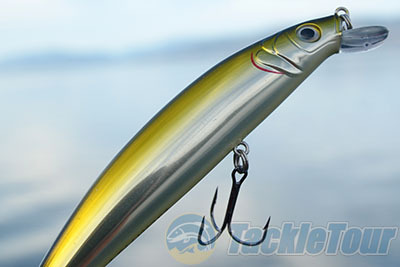 The Sabre Dance is the company�s first jerkbait offering and is available in two sizes, 3.25� and 4.5� versions which weigh � and � oz. respectively. 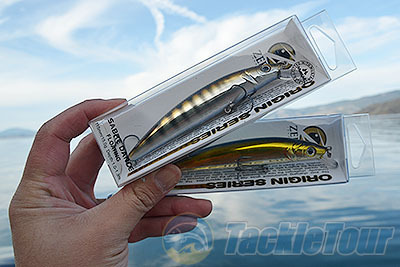 Both of these lures are designed to dive down to a maximum depth of 4 feet and when at rest they both float. In terms if styling the Sabre Dance somewhat reminds me of Yozuri offerings and has a flat bottom and arced back that peaks right over the first treble hook. The baits have sculpted gills, are finished with realistic 3D eyes and come armed with two treble hooks. 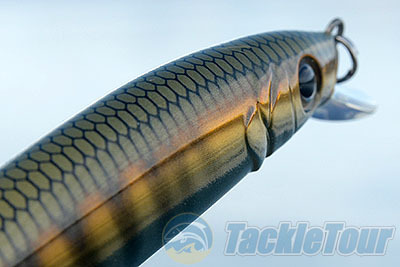 Like many other shallow divers the Zerek Sabre Dance features a small lip that protrudes right off the front of the bait. 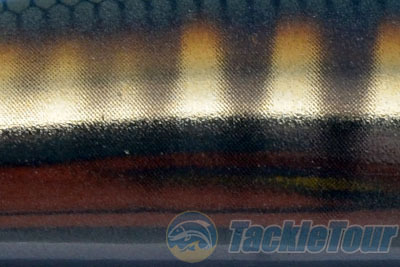 Overall the bait has somewhat generic lines and to remind anglers exactly what they are fishing the company prints a �Z� right on the back of the lure. So why is this bait called the Sabre Dance? It was finally time to put the lure in the water and find out. Real World Tests: I always relish the opportunity to test a new jerkbait/ripbait offers as they represent one of my favorite year round techniques. I fished the Zerek Sabre Dance both early season in cold water as well as during the Summer when I could target both Largemouth and Striped Bass in the California Delta. We used a variety of reels and rods but the majority of our tests I employed high speed 7:1 reels spooled up with Berkley monofilament line. Casting: When it comes to casting there isn�t all that much to say about this bait. 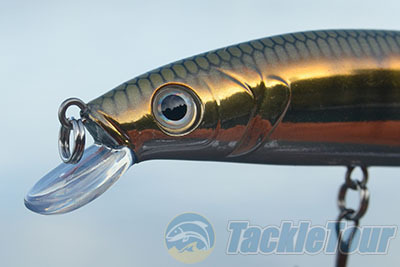 The Sabre Dance is easy enough to cast both short and long distances but most anglers will want to fling this lure as far as they can to cover as much water as possible. The Sabre Dance � oz. casts much further but both cast predictably thanks to an internal weight transfer system that also helps balance the bait once it hits the water. Retrieving: Savvy jerkbait fishermen vary their retrieves to determine just what cadence the fish desire. I can�t tell you how many times a straight rip has worked one day and after only 24 hours when returning to the same spot the fish will only bite on the same exact bait when retrieved with prolonged pauses. When fish are more hesitant to strike I find that suspending jerkbaits present the more attractive target as they are more subtle and can effectively stay in the strike zone longer. I found the Sabre Dance was most effective when fish were more active and enthusiastically chasing baitfish.